Fill in your details below and we will let you know within 24 hours if we can get Say Anything to you with haste! 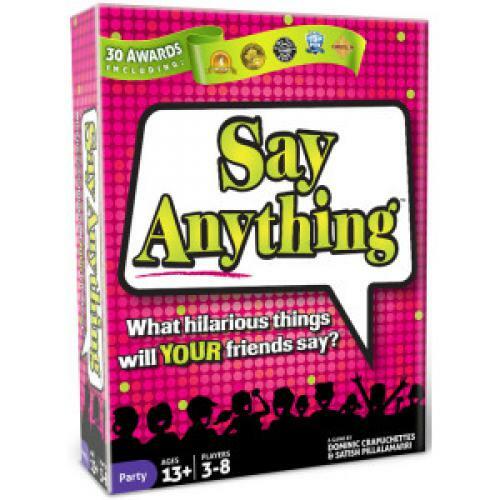 From the makers of the award-winning Wits & Wagers comes the next great party game -- Say Anything. Say Anything is a light-hearted game about what you and your friends think. For instance, ''What's the best movie of all time?'' or ''If I could have a BIG anything, what would it be?'' So dig deep into your heart or just come up with something witty -- this is your chance to Say Anything!